An Introduction of Two Persons. because you have been in it." Along an island in the North Sea, five miles from the Dutch Coast, stretch a dangerous series of sand-bars that have proved the graveyard of many a vessel sailing these turbulent waters. On this island once lived a group of men who, as each vessel was wrecked, looted the vessel and murdered those of the crew who reached shore. The government of the Netherlands decided to exterminate the island pirates, and for the job King William selected a young lawyer at The Hague. �I want you to clean up that island,� was the royal order. It was a formidable job for a young man of twenty-odd years. By royal proclaimation he was made mayor of the island, and within a short time he was appointed judge; and in that dual capacity he �cleaned up� the island. The young man now decided to settle on the island, and began to look around for a home. It was a grim place, barren of tree or living green of any kind; it was as if a man had been exiled to Siberia. Still, argued the young mayor, an ugly place is ugly only because it is not beautiful. And beautiful he decided the island should be. One day the mayor-judge called together his council. �We must have trees, � he said; we can made the island a place of beauty if we will!� But the practical seafaring men demurred; the little money they had was needed for matters more urgent than trees. �Very well,� was the mayor�s decision, �I will do it myself.� And that year he planted one hundred trees, the first the island had ever seen. �Then I will plant more,� said the unperturbed mayor. And for the 50 years that he lived on the island he did so. He planted trees each year; and he deeded to the island government land which he turned into public squares and parks, where each spring he planted shrubs and plants. Moistened by the salt mist the trees did not wither, but grew prodigiously. In all that expanse of turbulent sea � and only those who have seen the North Sea in a storm know how turbulent it can be � there was not a foot of ground on which the birds, storm-driven across the water-waste, could rest in their flight. Hundreds of dead birds often covered the surface of the sea. Then one day the trees had grown tall enough to look over the sea, and spent and driven, the first birds came and rested in the leafy shelter. And others came and found protection, and gave their gratitude vent in song. Within a few years so many birds had discovered the trees in this new island home that they attracted the attention not only of the native islanders but also of the people on the shore, five miles distant, and the island became famous as the home of beautiful birds. 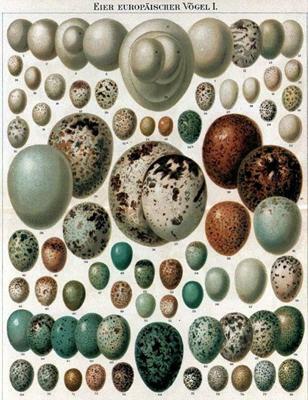 It was not long before ornithologists from various parts of the world came to �Eggland,� as the foremost point of the island had come to be known as the home of sea-fowl, to see the marvelous sight, not of thousands but hundreds of thousands of bird�s eggs. A pair of storm-driven nightingales had now found the island and mated there; their wonderful notes thrilled even the souls of the natives; and, as dusk fell upon the seabound strip of land, the women and children would come to listen to the evening notes of the birds of golden song. Meanwhile, the young mayor-judge, grown to manhood, had kept on planting trees each year and setting out his shrubbery and plants, until their verdure now beautifully shaded the quaint, narrow lanes, and transformed into cool wooded roads what had once been only barren sun-baked wastes. The trees are now majestic in their height of forty feet or more, for it is near a hundred years since the young attorney planted his first tree; today the trees that he planted drop their moisture on the lichen-covered stone on his grave. This much did one man do. But he did more. The first son left for the Dutch mainland, where he took charge of a small parish; and when he had finished his work he was mourned by king and peasant as one of the leading clergymen of his time and people. The second son to leave went to South Africa where he settled and became one of �the Boers.� Tirelessly he, with them, worked at the colony until towns and cities sprang up and a new nation came into being: The Transvaal Republic. The son became secretary of state for the new country, and today the United States of South Africa bears tribute, in part, to the mother�s message. A third son, scorning his own safety, plunged into the boiling surf on one of those nights of terror so common to that coast, rescued a half-dead sailor, brought him to his father�s house, and to a life of usefulness that gave the world a record of imperishable value. For the half-drowned sailor was Heinrich Schliemann, the famous explorer of the dead cities of Troy. So when they went out into the world, the boys and girls of that island home, each carrying the story of their father�s simple but beautiful work and the remembrance of their mother�s message. Not one from that home but did well his or her work in the world; some greater, some smaller, but each left behind the traces of a life well-spent. And, as all good work is immortal, so to-day  all over the world goes on the influence of this one man and woman, whose lives on that little Dutch island changed its barren sands to a bower of verdure, and a home for the birds. "Of books I sing" - A Texas Escapes' column showcasing excerpts from �volumes of forgotten lore.� Rescued from library sales, thrift store shelves and recycling dumpsters, if it�s amusing, poignant or illustrates the somewhat overblown and colorful prose of yesteryear, it can find a place here. Think of it as a home for unwed paragraphs or a museum of resuscitated sentences. More "Of books I sing"